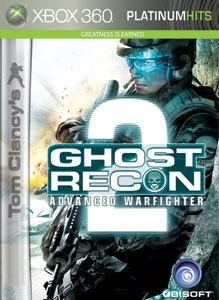 GRAW 2 Co-op Collection 2 brings back some of the greatest maps in Ghost Recon history and let’s you cooperate and compete in exciting new locales. An all new co-op campaign with 5 missions takes you back to some of the greatest locations from the Ghost Recon franchise. Inspired from the original Ghost Recon and remade to the stunning benchmark from GRAW 2. 9 new adversarial maps – 7 inspired from the greatest in the franchise and 2 brand new maps. 8 new Achievements with a total of 125 points. Exciting new challenges that encourage different tactics. The ghosts are back again. There are no refunds for this item. For more information, see www.xbox.com/live/accounts.